Two stores to visit or order on-line. Brazilian Walnut, shown here two toned on black. Choose: Brazilian Walnut, Brazilian Walnut on black or Brazilian Walnut on white. New Brazilian Walnut color is the fourth choice in our natural finish line of colors. Seashell, Antique Mahagony and Driftwood gray complete the textured color choices. New Natural finish: Seashell, Seashell on Chocolate, Seashell on Black, Antique Mahogany, Antique Mahogany on White, Antique Mahogany on Black, Driftwood Gray, Driftwood Gray on White and Driftwood Gray on Black. We have a new color, it is a dark/rich color call Brazilian Walnut! 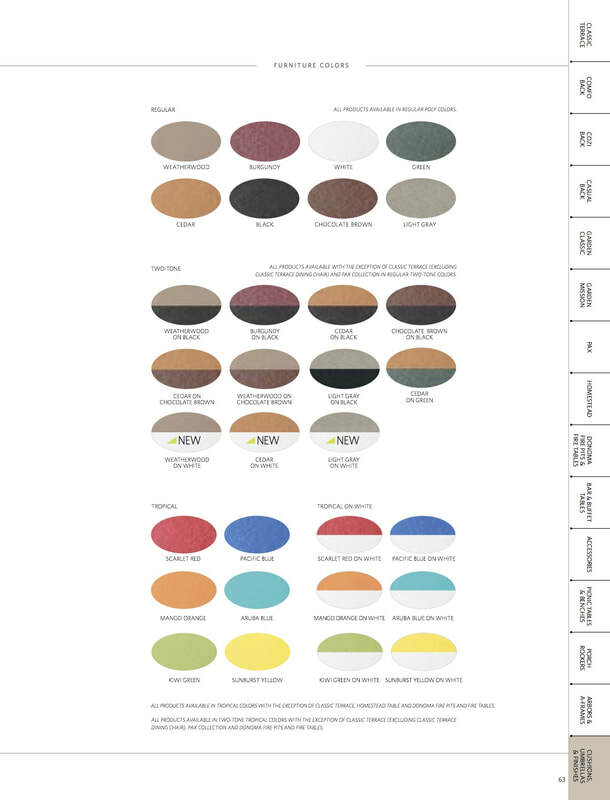 Natural finishes/textured finished are available on most furniture pieces for an additional 10%. Orders are typically received in three weeks. Our Poly furniture is so dependable, it is backed with a 20 year warranty! So much better than wood! 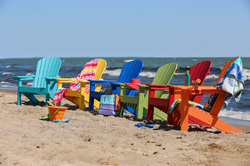 Purchase our high density polyethylene furniture and you are set for life for all your outdoor living comfort! We have a large selection available for immediate pickup or delivery. 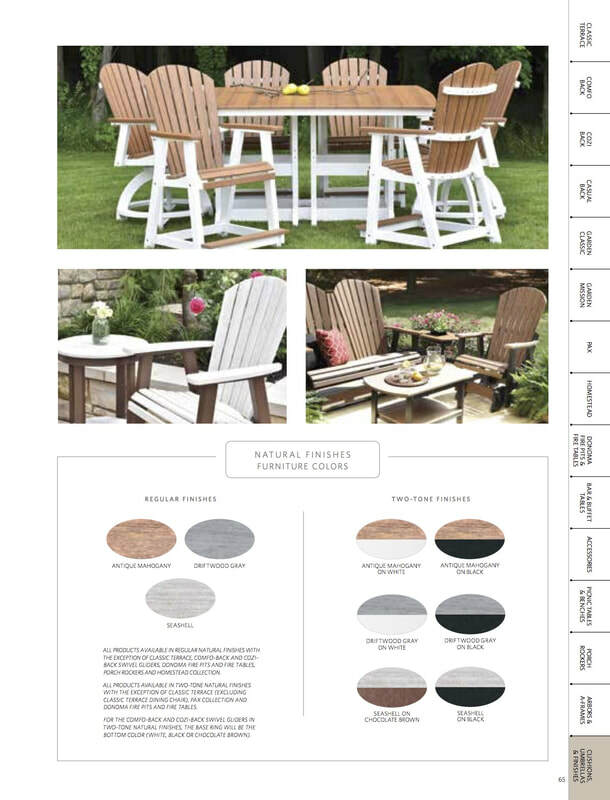 Berlin Gardens is the best poly furniture on the market and Magnolia Outdoor Living has all sizes and colors for you to see and feel before you decide which chair height and color is your favorite.